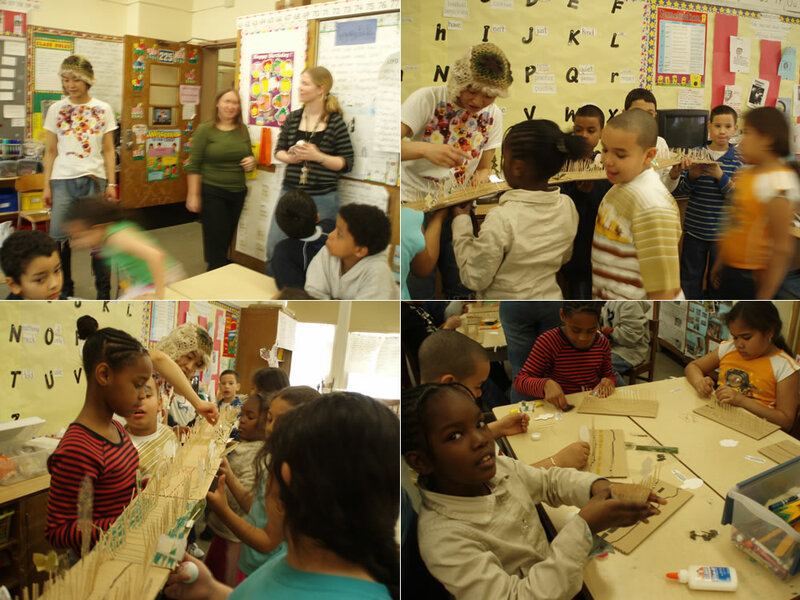 the special workshop at PS140 collaboration with Artists Space Educational Program NY and etc. graph papers, scotch taoes, toothpicks, images of the world, Ping-Pong balls, etc. 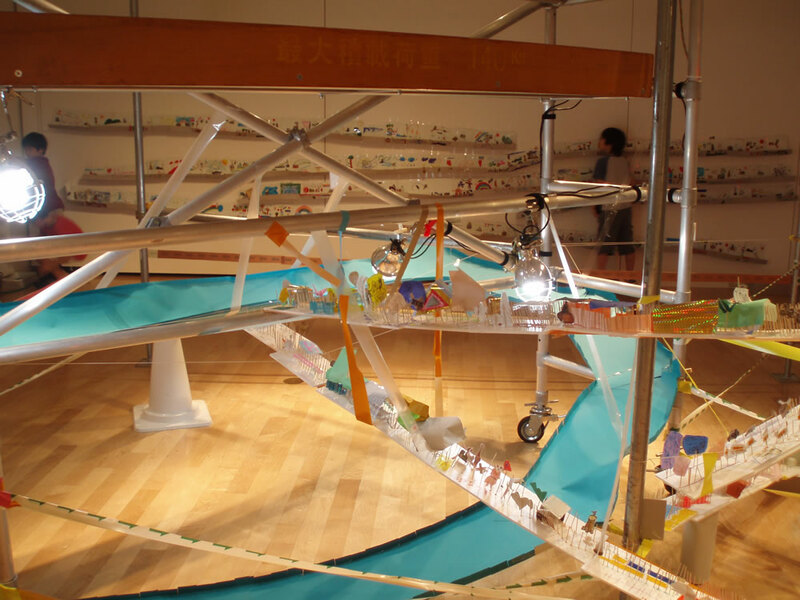 which was collaboration between KOKUYO and Hukazawa Art Laboratory. 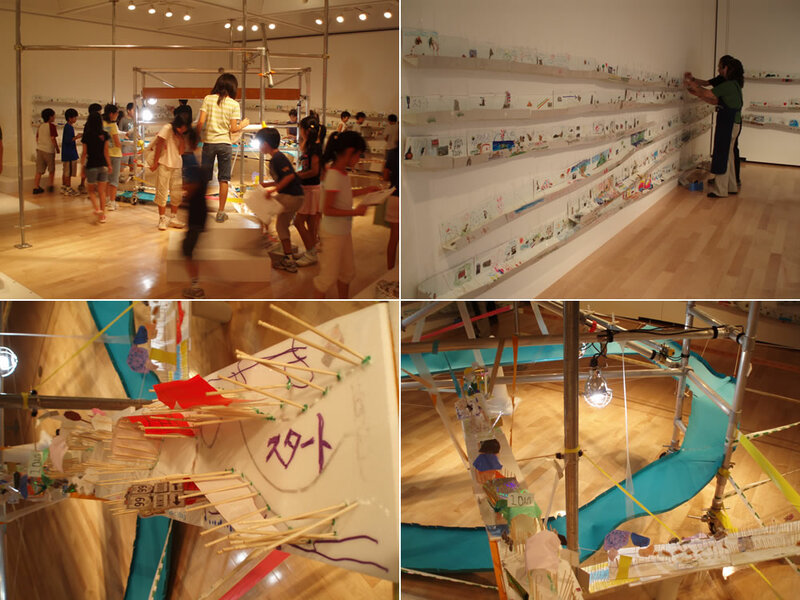 This exhibition's installation and workshop were based on the kit book and it was hand-on exhibition during summer holiday 2006. 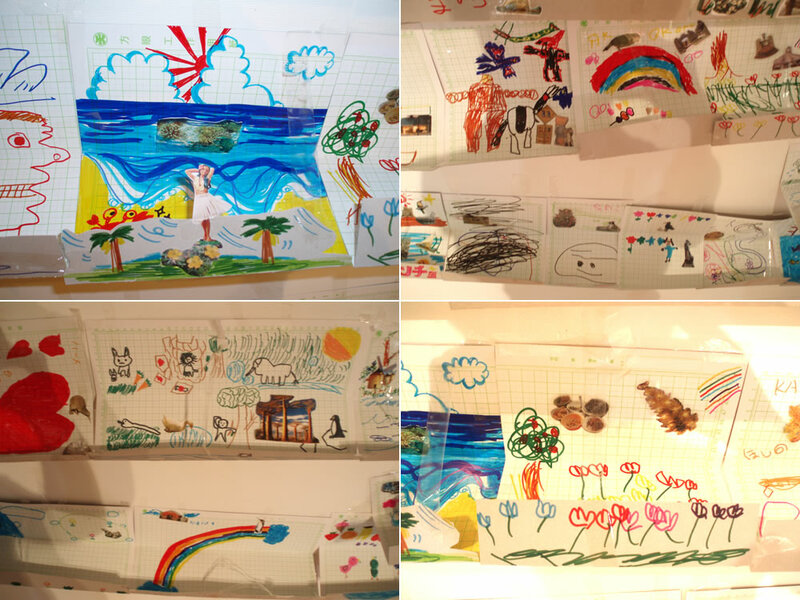 Children (or visitors) could make their roads and put roads together on the walls(the picture's back side artworks) to make longer and play them with Ping-Pong balls. 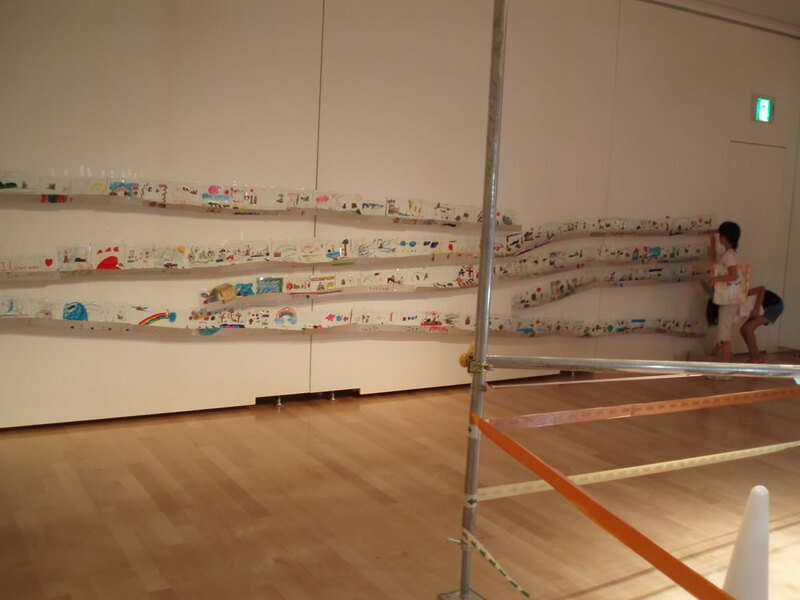 On the front side of this picture, we installed our devices and the children's roads that they made when we did the special workshops for the show. There, also children could play with Ping-Pong balls. We prepared many sightseeing images as we set the topic of the show for "traveling around the world". 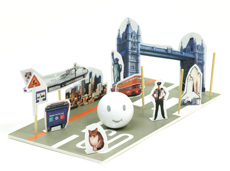 So the Ping-Pong balls rolled down as if they were traveling a lot of scenes in the world. Some children came there every day throughout this period. 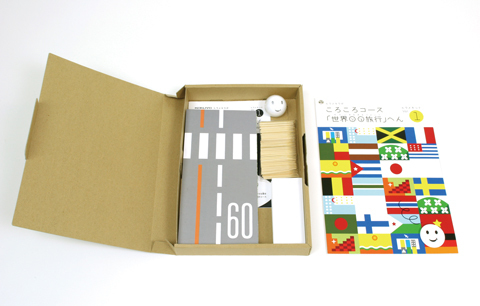 I participated in the group show in NY which was called Japanese Young Artists' Books Fair in NY • Printed Matter Co. organised by Pepper's Project 2007. 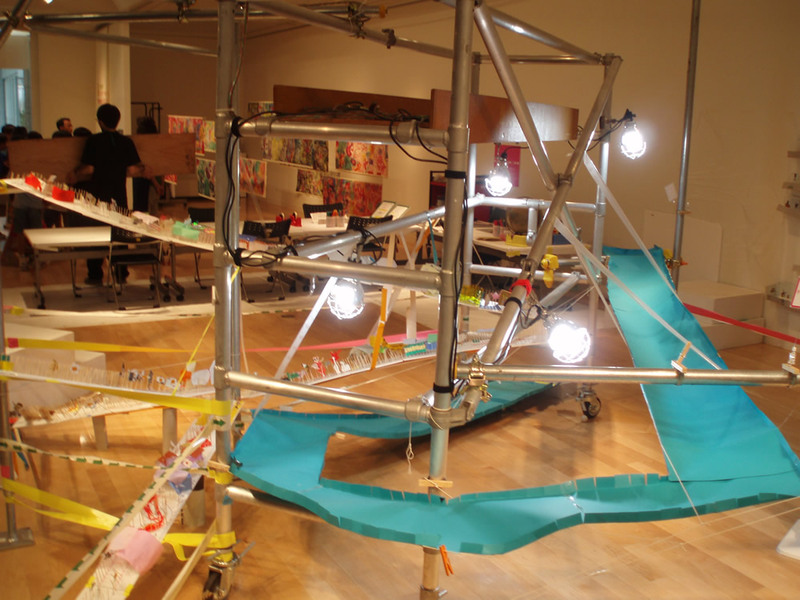 At that time I incubated the special workshop "corocorocourse ver. 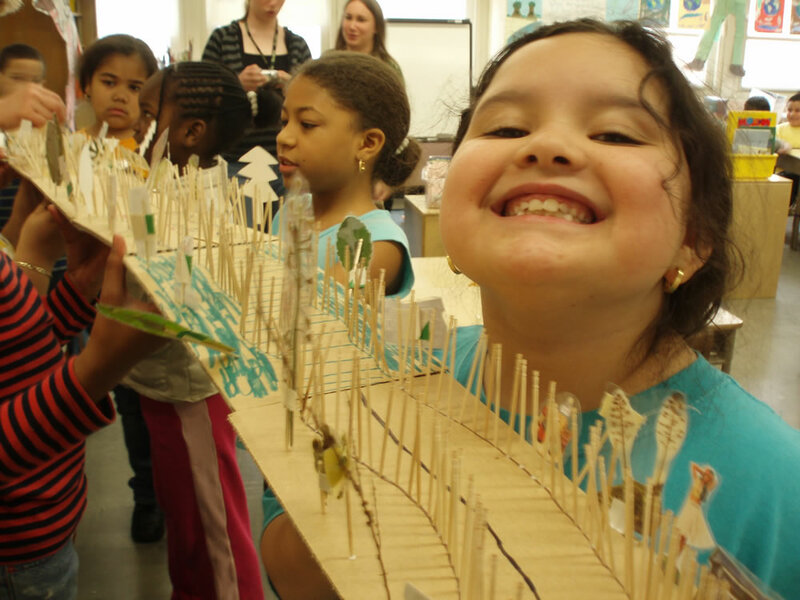 Peanuts-bird makes a garden" at PS140 collaboration with Artists Space Educational Program NY. The theme was about "Peanuts-bird's (The character of my art picturebook) garden". Firstly, I read and showed my picturebook to the students, then they started to make their roads.